This large earth-hue diamond was shown at the Paris World Fair of 1937 and was later loaned to the American Museum of Natural History for 15 years (circa 1975 to 1990) by its owner, Ella Friedus. Around 1991 she sold the stone for $1.3 million. 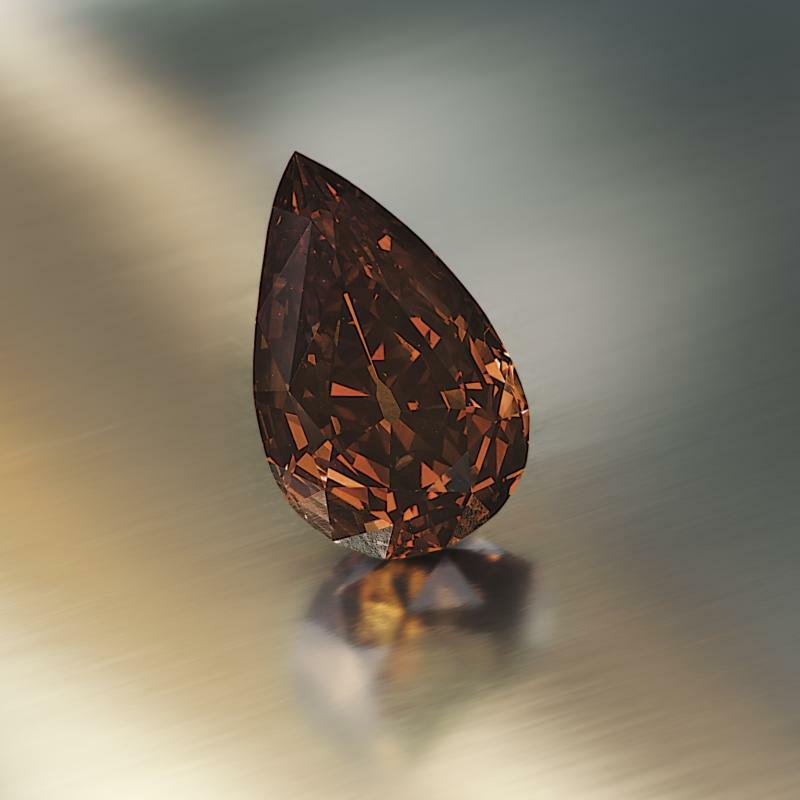 The Gemological Institute of America reported the 65.57-carat gem as being Fancy Dark Orange-Brown, having VS2 clarity, and a slightly modified cutting style: Its crown and pavilion main facets are horizontally divided, an extra facet pattern sometimes applied when cutting larger diamonds. While its early history isn't known, its almost certainly a South African diamond. On April 25th, 2006 it was offered for sale at Sotheby's New York in a Magnificent Jewels sale, figuring as lot 434 and had an estimate of $400,000 to $600,000. It realized a sale price of $1,382,400, including the buyer's premium.